"There ain't no such thing as a free lunch" — so wrote sci-fi author Robert Heinlein on the likelihood of expecting something for free, and so discovered Yahoo Mail users who use ad-blocking software. As of Nov. 19, some ad-blocking Yahoo Mail users are being greeted by a message saying Yahoo Mail is unable to load and instructing them to disable Ad Blocker. Yahoo confirmed to PCWorld on Friday that the company was indeed blocking users of Adblock Plus as part of a test. “At Yahoo, we are continually developing and testing new product experiences," wrote a Yahoo representative. "This is a test we’re running for a small number of Yahoo Mail users in the U.S.” The company did not elaborate on what the tests exactly were or when they will end. The email blocking reportedly affects both Chrome and Mozilla Firefox users who used Adblock Plus, a browser add-on or extension that suppresses ads on web pages. Close to 372 million users have downloaded the Adblock Plus add-on for Firefox, with 6 million downloads in the last 30 days. Yahoo! Mail provides email services for free and depends partly on revenue from ads. 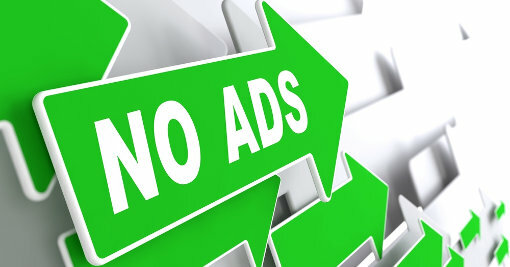 The larger question is whether more service providers like Yahoo Mail will begin requiring users to view advertising in order to use their services or whether negative sentiment about ads will force them to find other ways to earn money. Determined users have already figured out temporary ways to work around the Yahoo barricade. Some Chrome users have been able get around it by composing an email message after signing in, then typing random characters into the email body and selecting “Stay on Page” when the page prompts with a “Do you want to leave this page?” popup dialog. Firefox users bypassed the Yahoo blockage by temporarily using Internet Explorer to sign in to Yahoo! Mail. There, they changed their email viewing preferences to basic (no formatting) by going to Settings > Viewing email and selecting Basic instead of Full-featured. After this, they were able to access their Yahoo inboxes again on Firefox. Yahoo Mail recently added the ability to log in without entering a password and manage email from other email services, and it has also streamlined its mobile email app. I think when you use free services, you pay in a bigger way like ads and privacy. I am quite happy to pay thexyz.com a few bucks a month to host my email without the ads and privacy concerns.